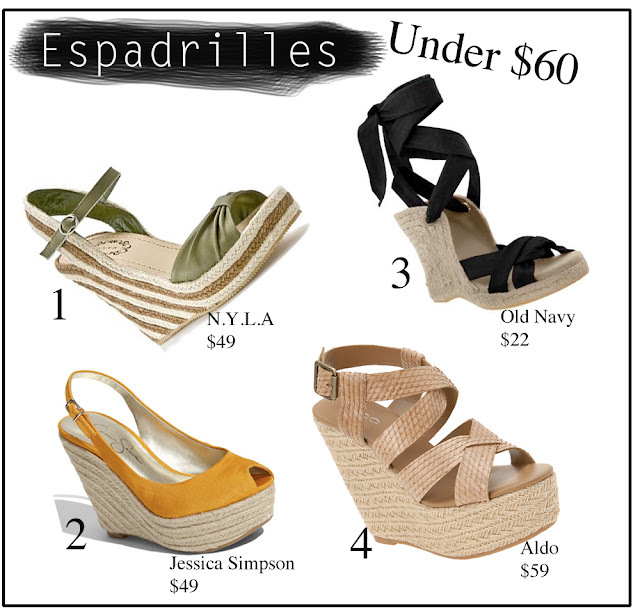 Ah espadrilles, the ultimate summer shoe you can't go wrong with. They're comfortable, yet stylish and go with most anything in your summer wardrobe, whether it's a pair of shorts, a summer dress or your favorite white jeans. Here are a couple of options all under $60. I haven't seen those Jessica Simpsons. And they're pretty cheap. I might have to get me some!